Don Harry at a recent tribute to Bill Bell held at the International Tuba and Euphonium Conference at Indiana University. An illustrious teacher in his own right, Harry seems to embody the Bill Bell-Harvey Phillips line of tuba excellence in his current duties as Eastman faculty, member of the Eastman Faculty Brass, tubist with the Buffalo Philharmonic and as a soloist. “The Fourth Valve” tm is overjoyed to enjoy the enlivened discussion with such a distinguished guest. There is no one tuba sound except in the practice zone; the literature determines the color. Sometimes, and primarily, we are a 5th horn in the big German pieces. Sometimes, we are like a bass trombone in certain pieces of Stravinsky, Bernstein or Shostakovich. At other times, we are a euphonium surrogate (Berlioz), or a woodwind voice (Mendelssohn and other Ophicleide parts). Primarily, we are a Lyric Baritone ‘wannabe’ or a Bass voice. My personal concept is a very intense core in the mid-harmonics surrounded by a corona of sound. Depending on the volume, the two things can vary; the core can become over powering, or the corona can be required to be the thing that fills certain colors at the bottom of ensemble (and the choir), involved. Does your cultural heritage inform your approach to tone or interpretation? There is a small connection to sounds I have heard and made in relation to my Delaware, Caddo and Kiowa relatives-great power and focus with a very intense projection. 2. The brass quintet is almost ideally suited to Conservatory and University Settings, one seat for each studio-plus another trumpet. How do you view the history and development of the faculty brass quintet, and which are some of your favorites? 3. Which tuba concertos do you feel have the best mix of high musical content and audience appeal? 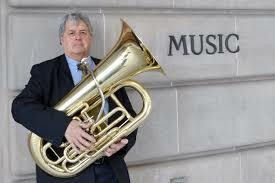 Do you prefer tuba concertos most with orchestra, band, or brass? I am very impressed with the Samuel Jones Concerto. It presents extremely difficult experiences, but is accessible and worth the effort. The Songs of Ascent and Journey are close runner-ups. 4. What was your typical warm-up routine like as an undergrad as compared to when achieved your career? My warmups at that stage on the tuba were dogmatically required by Bill Bell. 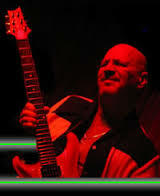 His routine, labeled “Warmup”, was a refresher of scales and chords that involved all of the key signatures. If you could play it, you were wasting your time and unprepared to play the piece at hand sometimes. On trombone, the Remington Warmups were a requirement and, for me, personally not very helpful. I was influenced by Joseph Novotny and his use of the Schlossberg exercises and by Bill Adam the great trumpet teacher at IU. I played for a number of years with his students and was always aware that they could sound great and play all day and all night. Eventually, I got to my idea that most warmups are too long and too easy! So I made my own versions which start with upward slurs, rather than comfortable downward things which feel good but don’t get to the main issue, the gig. I combined these with specifically gearing each day to a basic miniature of all the things I needed to be able to do and with specific things for the specific I was performing. I will eventually have a small book addressing these ideas. 5. Some have addressed the struggles and rewards of being “on the road” with a brass quintet. What are the joys and pitfalls of “teaching on the same faculty”-sharing students, and performing together? Any special consideration due to the legacy of previous brass faculty? I have been fortunate to be in Eastman Brass since 1990 and on the Eastman Faculty for 15 years. This is my only quintet experience at this level and has always been unrelenting at all levels. It is a joy for us to get together and a tremendously therapeutic experience musically. The membership has changed over the years with the new player always fitting in like a glove. A true joy. 6. Who has influenced you most as a musician? I was at the Gunnison Music Camp from 1959-1961 where the faculty included Earle Louder, Armando Ghitalla, Bill Bell, Arnold Jacobs with visits by Roger Bobo and Harvey Phillips. Musically, I was and still am influenced by Bill Bell’s sound and musicality which, even late in life, had qualities which were beautiful. Primarily, I was influenced though piano players like Walter Gieseking, Horowitz,Ernst von Dohnanyi, Art Tatum, Oscar Peterson, and George Shearing…. (on and on.) I spent years playing piano for my own access to music when I had no access to a tuba. 7. What is the best tuba playing you have ever heard? Joseph Novotny, New York Philharmonic, with Bernstein conducting Prokofiev Symphony No. 5. 8. 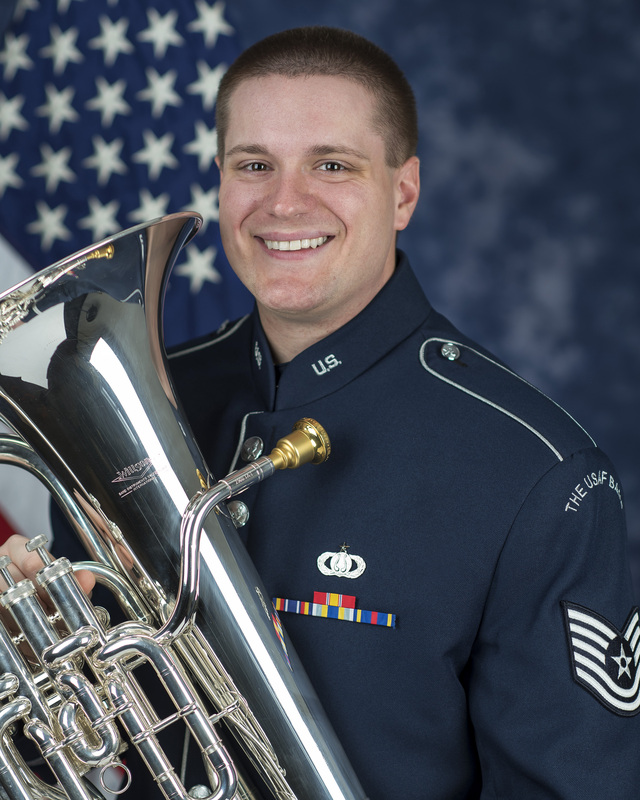 What is the best tuba playing you have ever done? Difficult to say; still working on it.